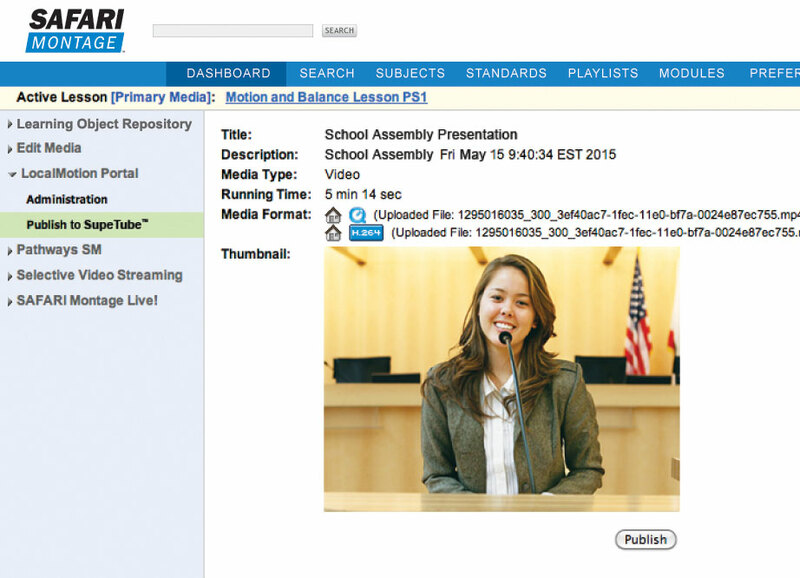 SAFARI Montage® now offers school districts a way to publish video content for anyone in the world to access. 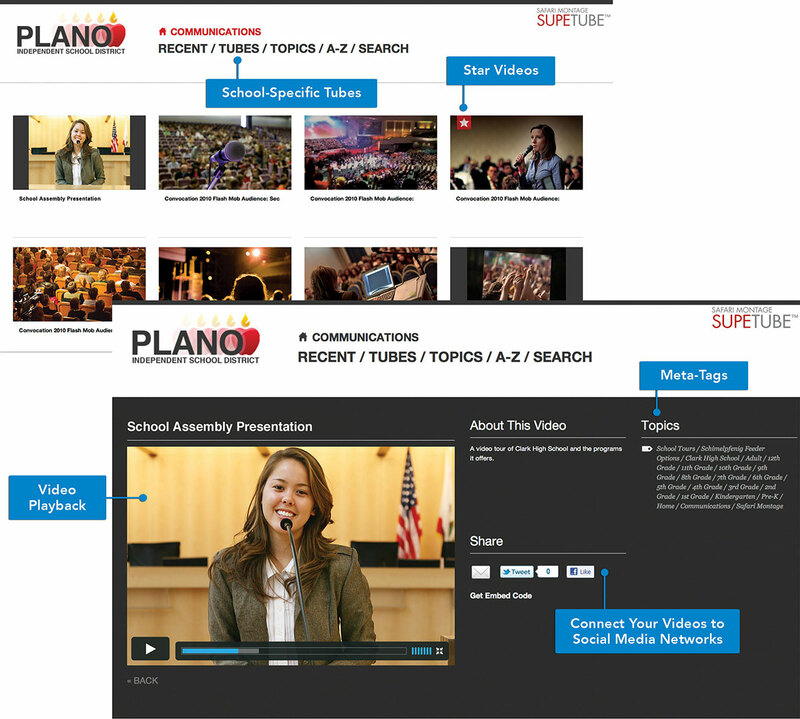 SupeTube™ provides a familiar web-based interface with thumbnails that makes it easy for anyone to navigate and view live* or recorded video content such as school board meetings, special events, graduation ceremonies, fundraising campaign events and more. It is also ideal for sharing student video projects, professional development, public relations announcements and health and safety news. The portal is publicly accessible, and no log-in is required, thereby providing school districts with a tangible connection to the local community. SAFARI Montage is the exclusive, authorized reseller of Local Motion™ (branded SupeTube™ by SAFARI Montage) in the K-20 educational market. Published content is searchable and can be shared on Facebook®, Twitter® and other social media networks. Publishing content to SupeTube™ from SAFARI Montage Learning Object Repository via Managed Home Access is quick and easy. Video titles can be chosen to appear on the portal homepage with selected thumbnails. The thumbnail interface makes it easy for people to find the videos that they want to watch.